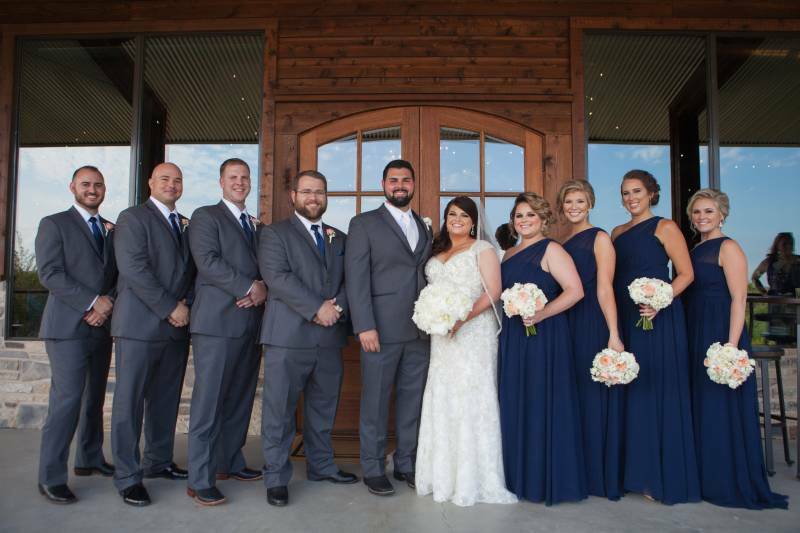 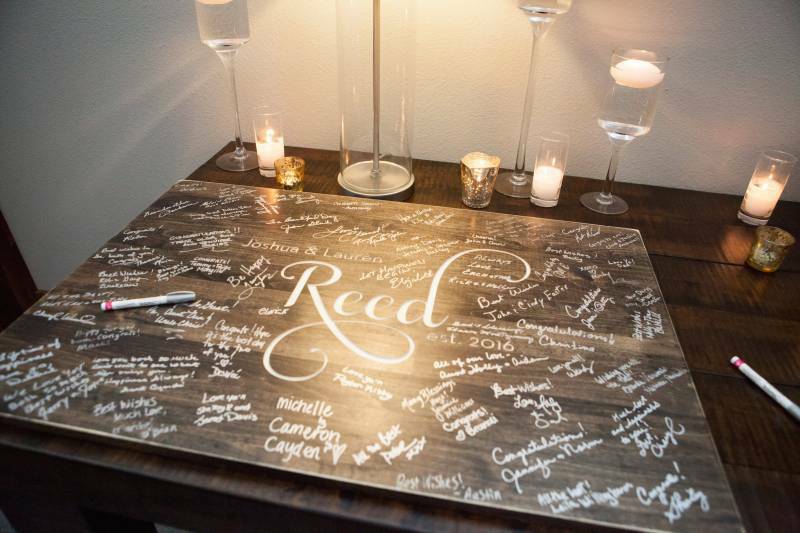 This navy and silver McKinney wedding will have you feeling all the feels! 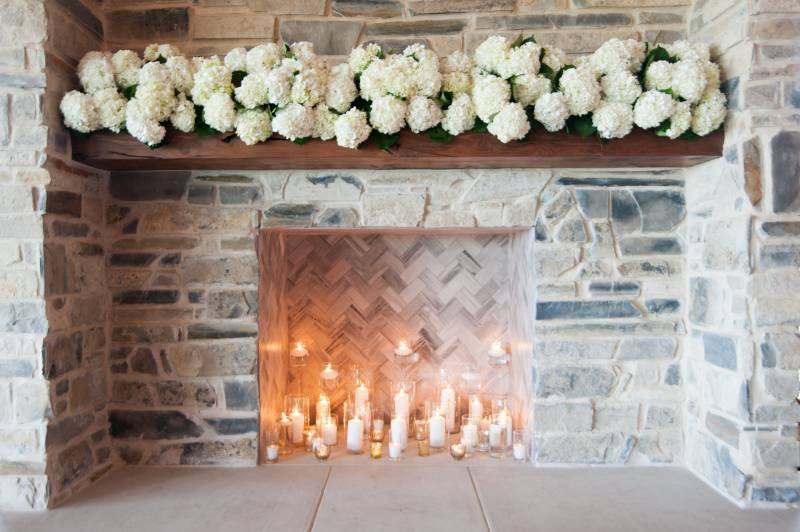 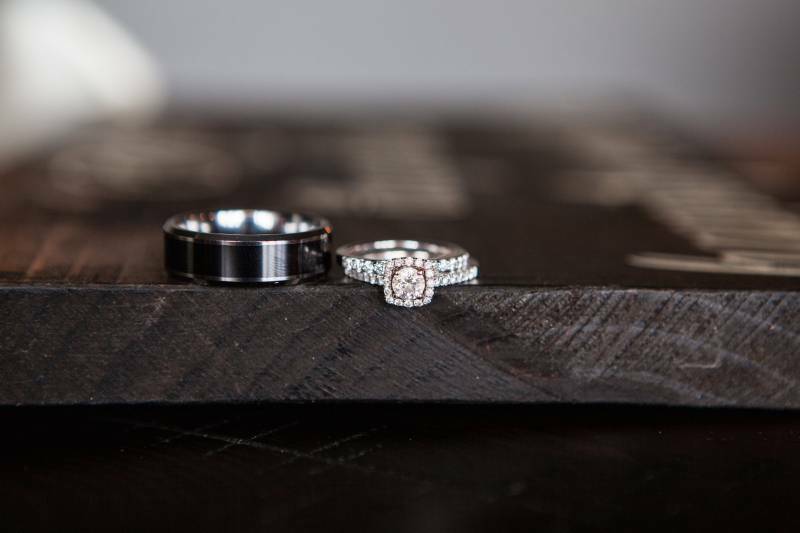 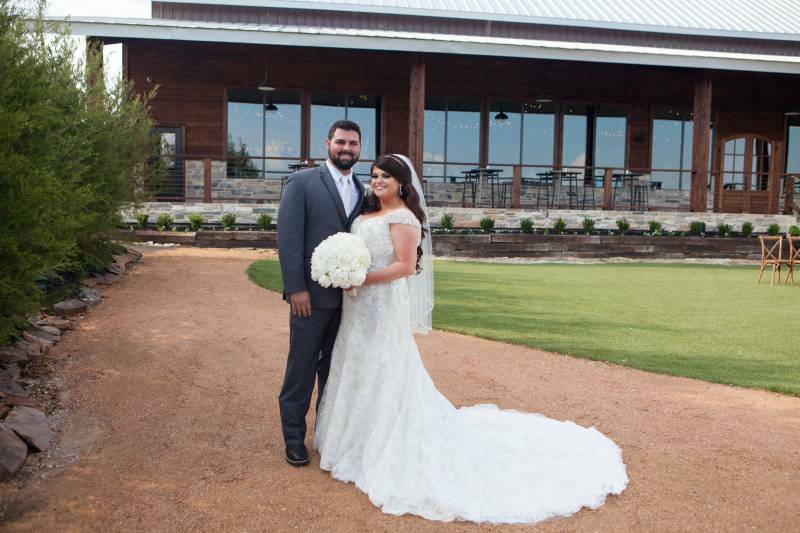 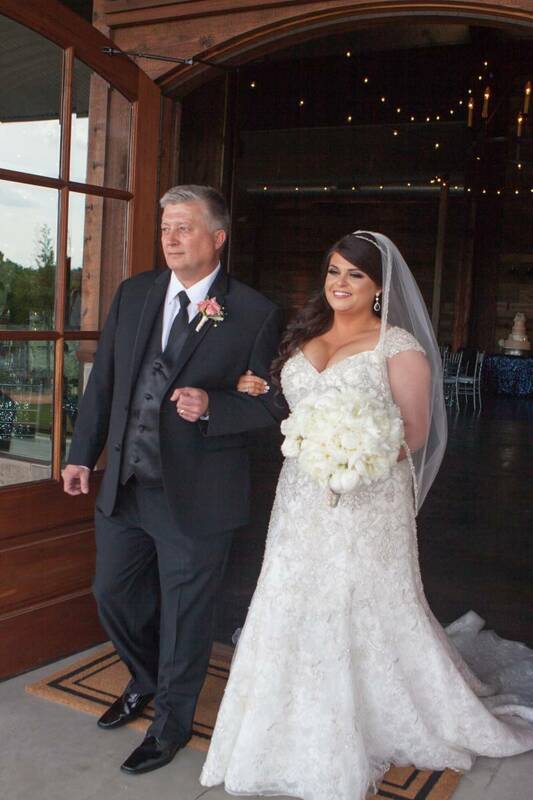 The Stone Crest Venue provided the perfect backdrop for this rustic, yet glamorous wedding. 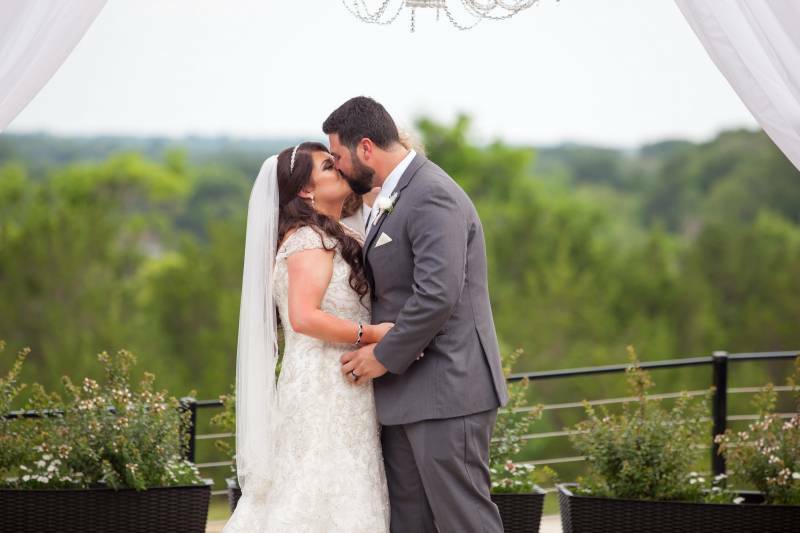 The bride was a vision in her all-over lace, blinged-out mermaid wedding dress. 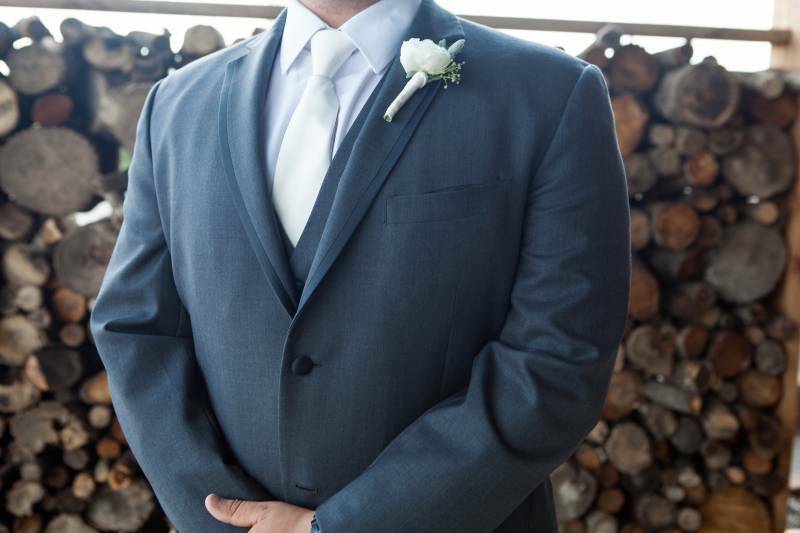 And the groom wasn't too shabby in his tailored gray suit. 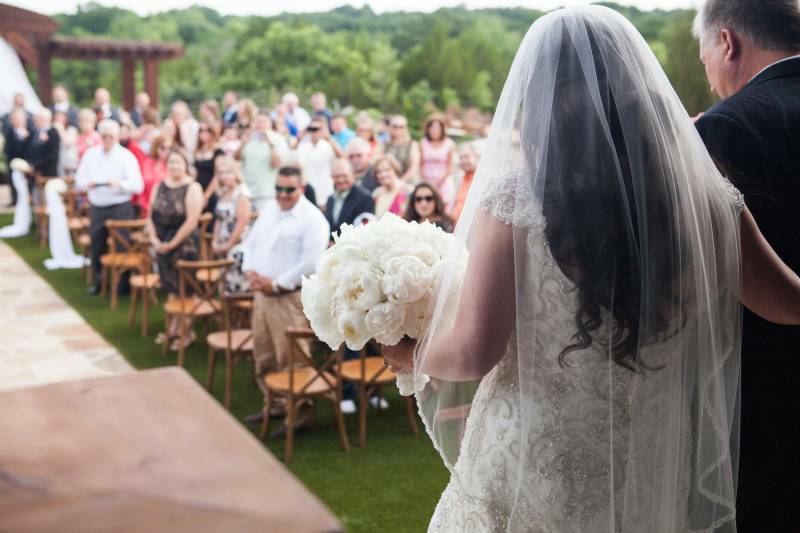 The formality of the wedding attire was the perfect contrast to the outdoor wedding ceremony scenery. 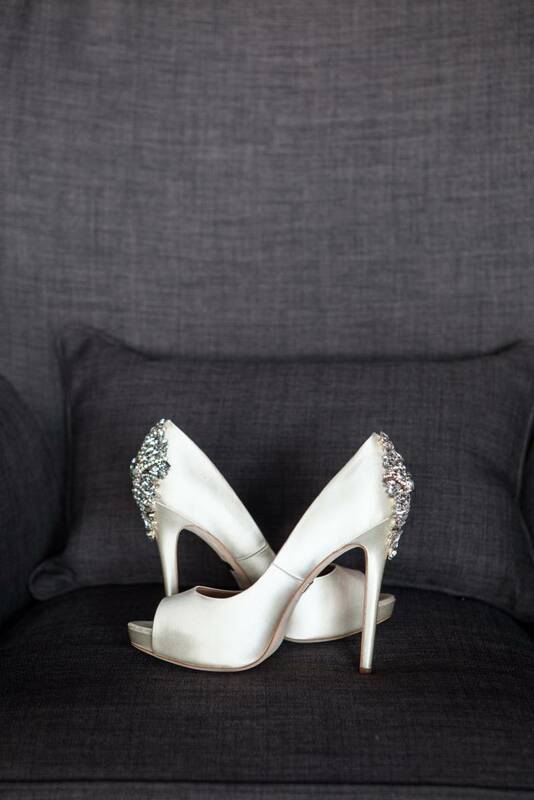 Katie Cassidy didn't disappoint capturing every detail with her amazing photography skills. 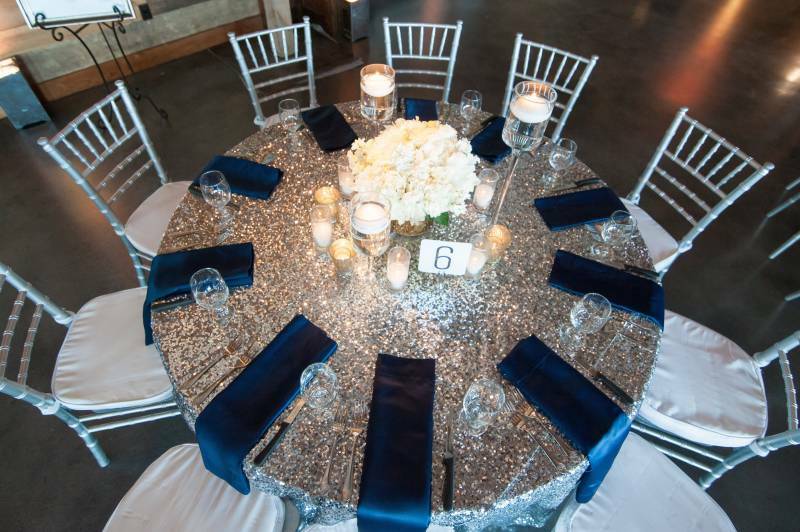 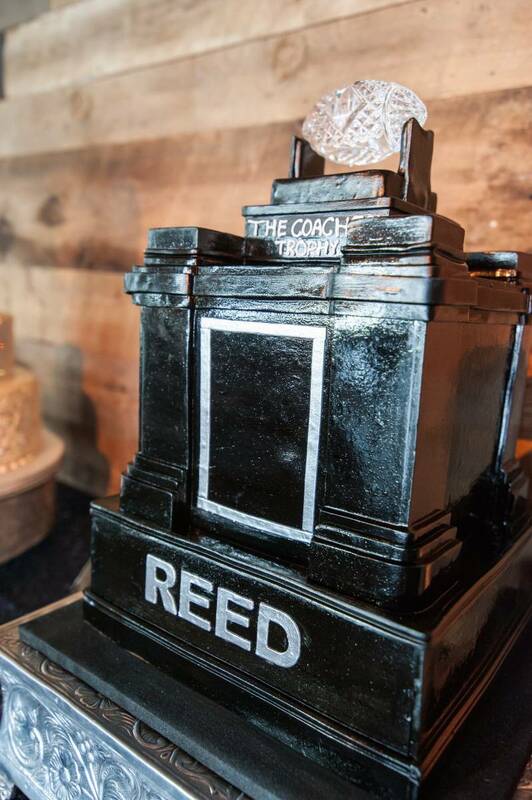 Check out the gallery for even more navy and silver gorgeousness! 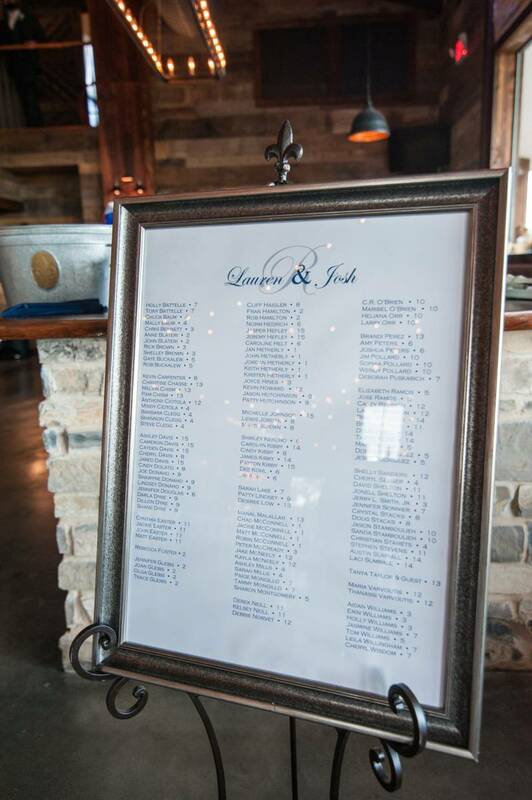 From Each & Every Detail...Lauren and Josh's wedding was the perfect combination of elegance and country! 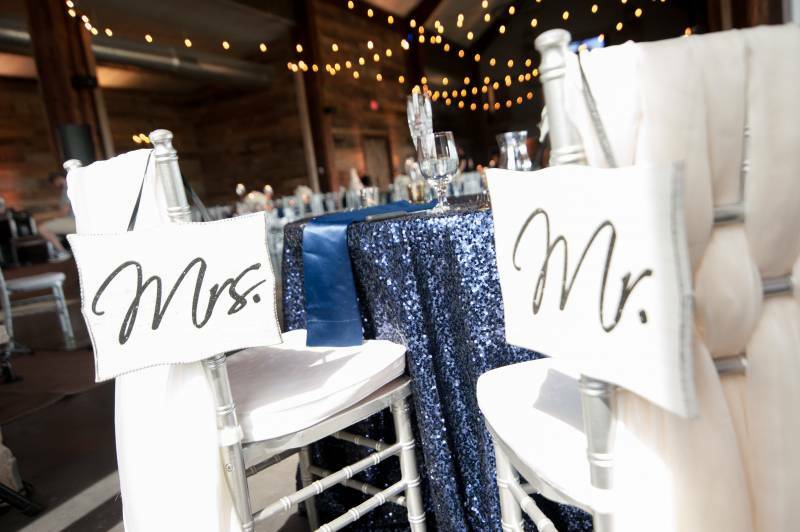 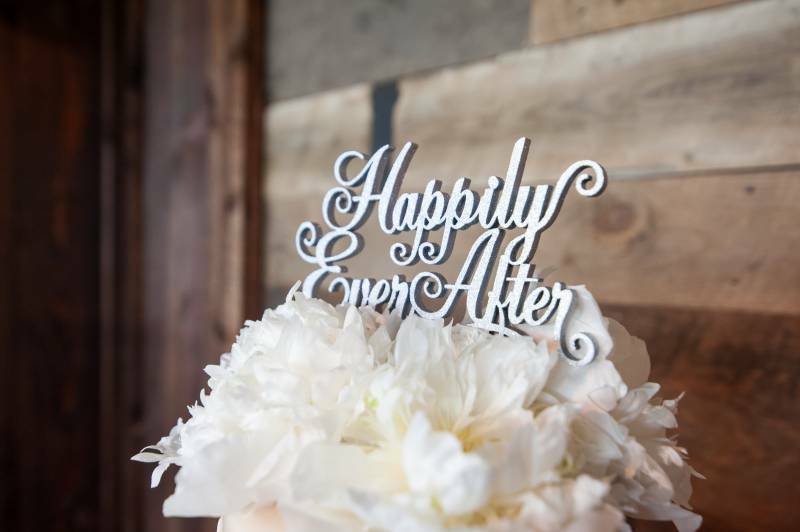 From the beautiful rustic setting of Stone Crest Venue to the sparkling sequin tablecloths, every detail was intentional and a true reflection of their style. 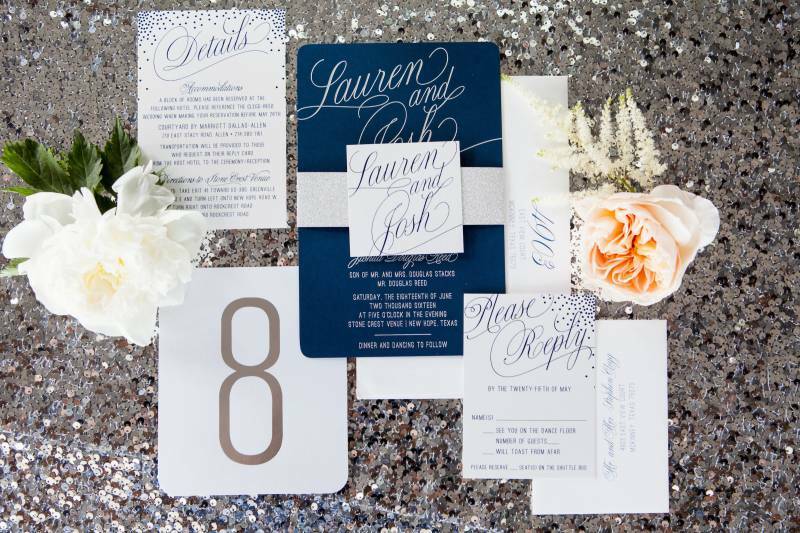 Their invitations truly set the tone for their navy, silver and white wedding. 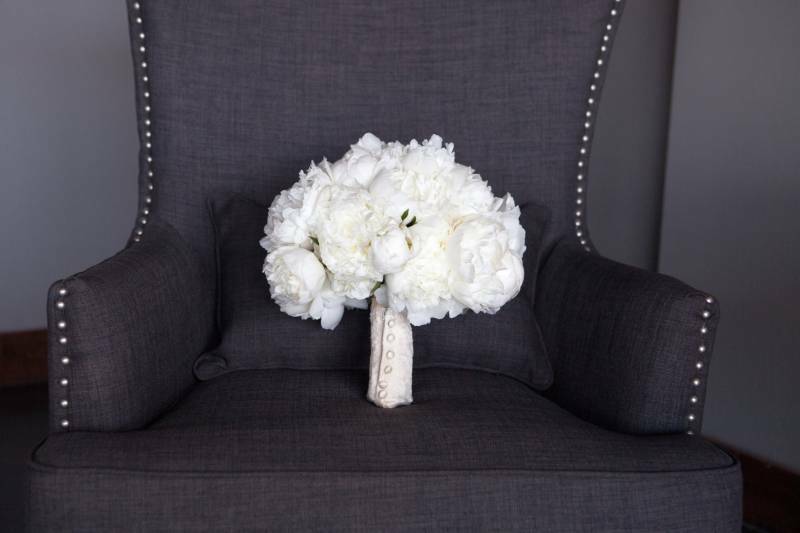 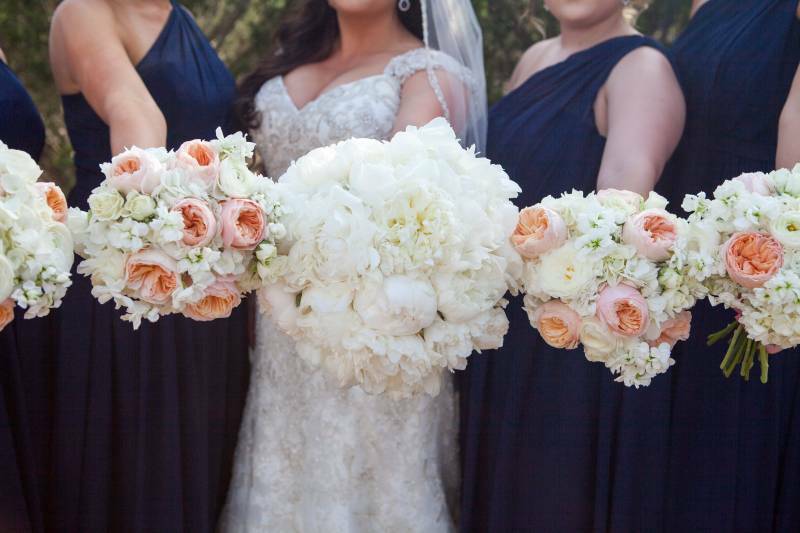 Lauren chose gorgeous white blooms for all her floral touches. 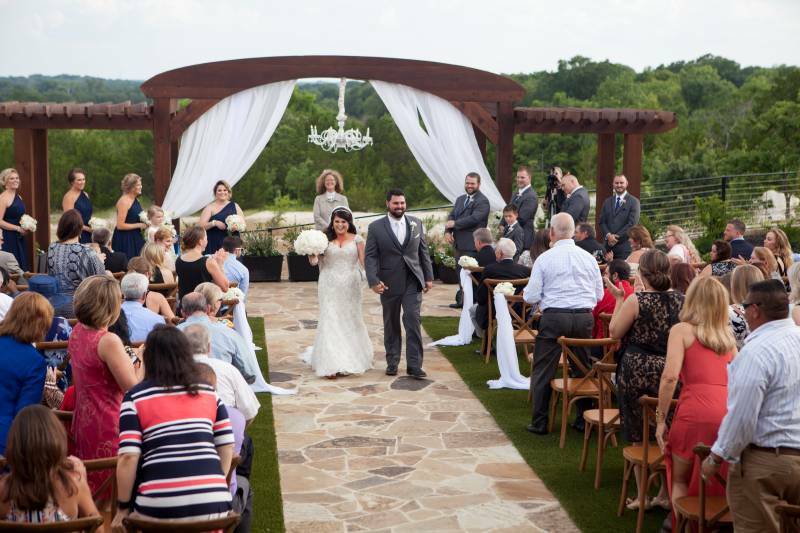 The ceremony pergola was beautifully draped with white fabric and floral, and we added a crystal chandelier for the elegance that contrasted nicely with the amazing hill-country like view behind it. 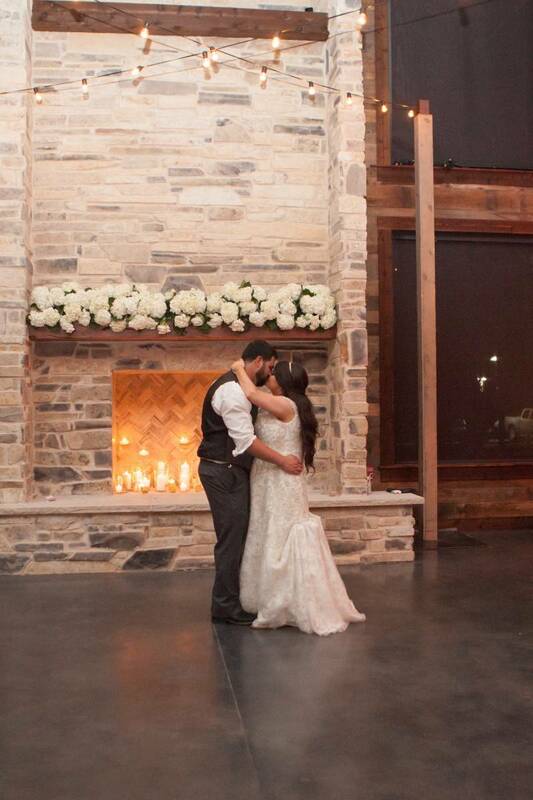 When guests moved inside, they were delighted to see the amazing cafe lighting, stunning tables, and gorgeous cakes! 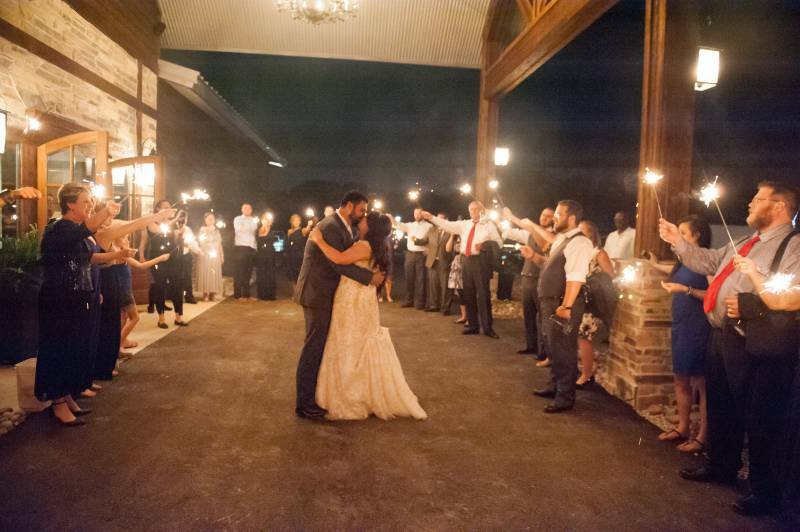 They all danced the night away, both on the dance floor and outside under the stars while enjoying the fire pit and s'mores station. 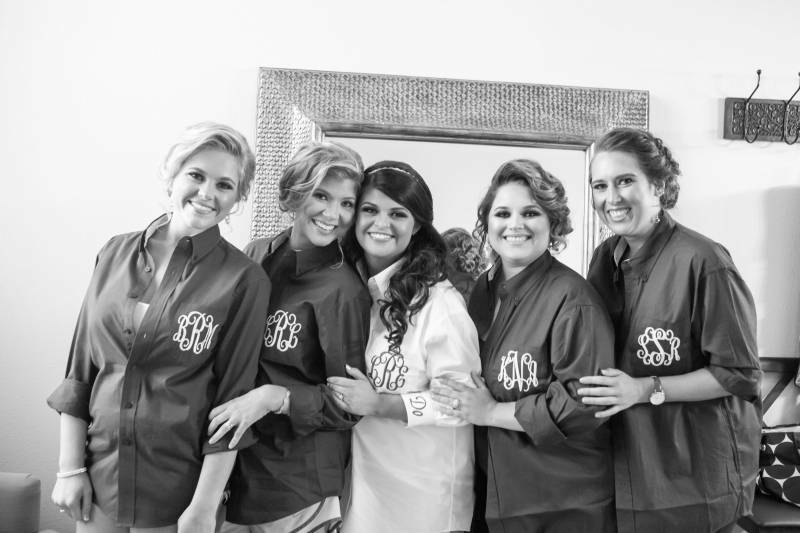 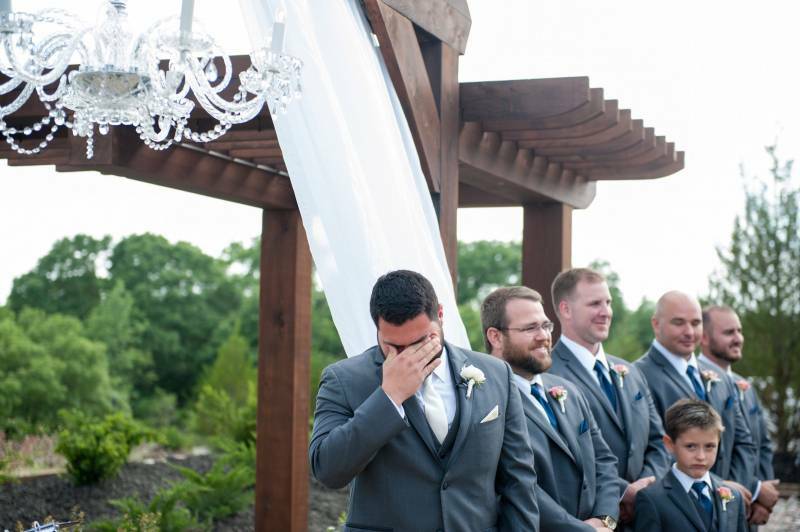 Katie Cassidy Photography captured every moment for them to cherish for years to come.